All road users can support this year’s National Anti-Bullying week (17 – 21 November) by brushing up on their knowledge of the rules of the road. The RAC Foundation is encouraging motorists in particular to refresh their knowledge of the Highway Code – something they may not have done since they learned to drive. Bullying by drivers is often called ‘road rage’, but whatever term is used, the causes and the outcomes are easy to recognise. Being over-confident about driving skills and the rules of the road lead to a series of actions and reactions that can end in disaster. A typical situation can be spotted on motorways when temperamental-tailgater meets middle-lane hog, with no respect for other drivers or the shared space. Similar situations can occur elsewhere when drivers and other road users become unsure of each others’ intentions. 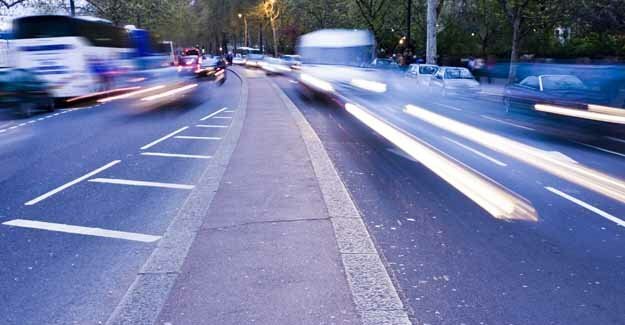 Stress levels can escalate, as some drivers perceive lack of progress whilst other more vulnerable road users, such as pedestrians and cyclists, may feel intimidated. A good working knowledge of the Highway Code can help everyone to do the right thing and to be confident on our roads. The Highway Code is widely available with quizzes and versions for different road user groups. 1.When following a vehicle which is being driven at well below the speed limit what should you do? * Be considerate. Be careful of and considerate towards all types of road users, especially those requiring extra care (see Rule 204). 2. How much space should you give to motorcyclists, cyclists and horse riders when overtaking? * Not much. Don’t inconvenience other vehicles by pulling out too far for riders or cyclists. * As little as possible. 3. You see a pedestrian standing on the pavement waiting to cross the road at a zebra crossing. What should you do? * Wave or use your horn to signal pedestrian to cross. This could be misinterpreted and cause an accident. * Avoid stopping if you have other vehicles behind you.